Rosary for Johnny Gonzales 64, of Tahoka will be held 7:00 P.M. Wednesday, November 14, 2018 at Calvillo Funeral Home Chapel in Tahoka. A Funeral Mass will be celebrated for Mr. Gonzales at 10:00 A.M., Thursday, November 15, 2018 at St. Jude Catholic Church in Tahoka with Father John Rathinam officiating. Burial will follow at the O’Donnell City Cemetery under the direction of Calvillo Funeral Home. 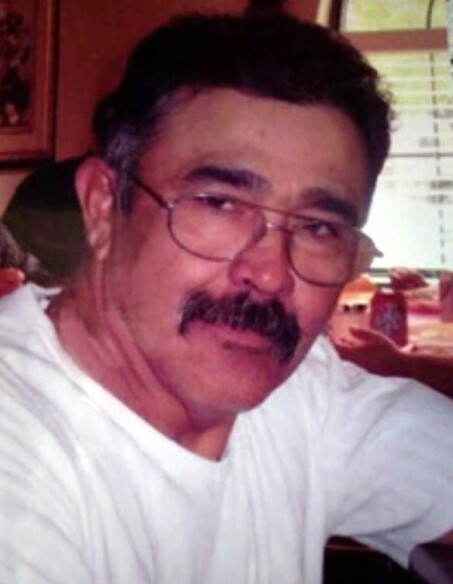 Johnny was born November 10, 1954 in Lamesa to the late Lucus and Carolina Gonzalez, he passed away on November 11, 2018 in Lubbock. A hard worker Johnny worked many years as a machinist for Three B Brush Co. He was an outdoorsman at heart; loved working on his yard and going fishing. Listening to music especially “the oldies” and cheering on the Dallas Cowboys to victory were just some of his other hobbies, but his greatest joy in life was spending time with his family. He is preceded in death by his parents; sister Bertha Estrada and a brother Freddy Gonzalez. Survivors include his wife Margie Nino of Tahoka; sons Johnny Gonzalez Jr. of Lubbock and Johnny C. Gonzalez of Tahoka; daughters Monica Chica of Sealy, Jessica Ramirez of Tahoka and Patty Nino of Tahoka; brothers Thomas Gonzalez, Lucus Gonzalez Jr., Steve Gonzalez all of Lubbock and Luciano Gonzalez of Brownfield; sisters Carol Gonzalez of Grand Prairie and Mary Bustamante of Lubbock., sixteen grandchildren and one great grandchild.